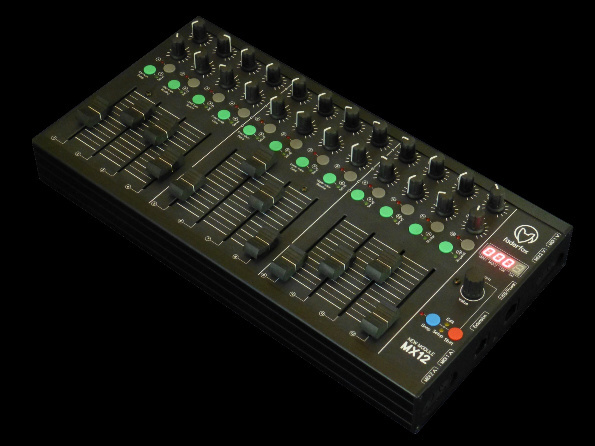 MX12 as successor of the UC44 is a universal controller for all kinds of Midi controllable hard- and software. 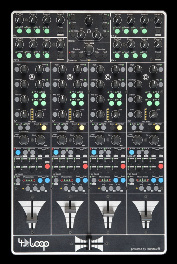 You can combine NEW MODULE devices to a large system. The connections are on the right side to allow a back to back placing of two or more devices. Connect two NEW MODULES by a special extension port. 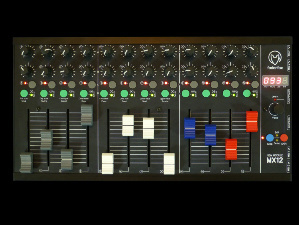 Furthermore there are 4 Midi-ports and one USB-port with various routing possibilities. It is packed in a alu case with the same dimensions like the famous ELEKTRON devices so it’s a great extension for these devices. 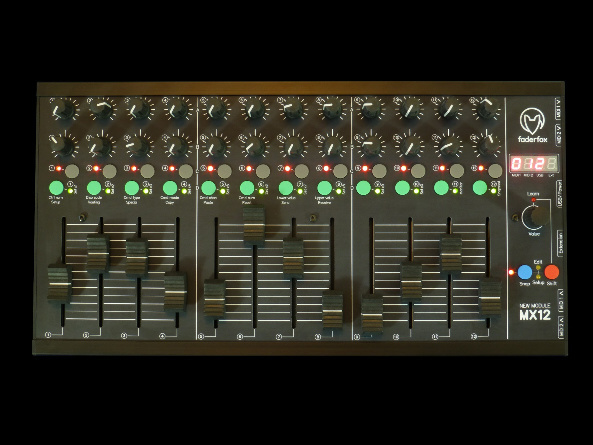 But you can use the mix controller also with your DAW like a classical 12-track-mixer. 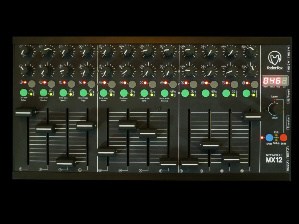 The device has 24 standard pots, 12 Faders and 24 buttons in a 12-track-layout, Various kinds of midi commands like control change, note on/off, pitchbend, aftertouch and program change are possible. 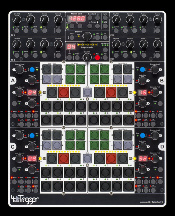 You can program every Midi command for every separate control on the device very fast and easily. Of course you can assign the pots and keys to any of these commands by learning incoming Midi commands, which is the same procedure you know from your software / DAW. The pots work with standard resolution of 7 bit to have full compatibility to any software and hardware instrument, effect and DAW. Use the internal 30 setups to save your individual settings. Backup and restore of all settings by sysex dumps is possible too. The factory settings are perfect to control music and video software products out of the box if they are freely assignable. So any additional device programming isn’t necessary for many applications. 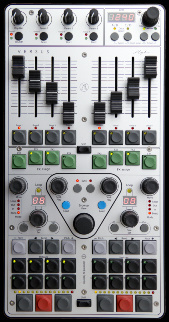 Some special setups are preconfigured for use with ELEKTRON RYTM and ABLETON LIVE. Latest Firmware MX12 Version 01.04 (MX12 V0104.SYX) ! read update instructions first ! 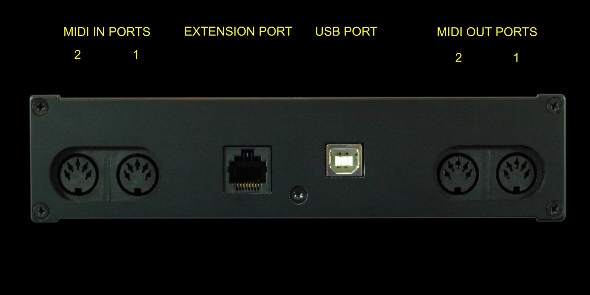 Older Firmware MX12 Version 01.01 (MX12 V0101.SYX) ! read update instructions first !